If you’re from The Heart of Dixie, you’ve probably grown up with the sweet, enticing flavor of Alaga Syrup, packaged in distinctive bottles. But do you know how this iconic company got its name? 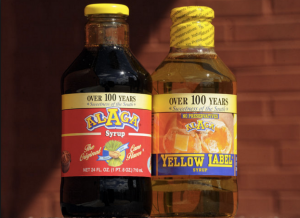 A fourth generation family owned company, Alaga Syrup has expanded not only their product line but also their corporate profile. One of its divisions is Whitfield Foods, offering product blending and co-packaging capabilities for both small and large customers. New to the Alaga Syrup product line is its “Sweet Hot Alabama” Alaga Hot Sauce. This taste bud tingler starts with traditional Louisiana-style hot sauce, which is enhanced by just the right amount of Alaga Original Cane Syrup for an unbeatable sweet and hot flavor. It’s perfect on chicken wings, in casseroles, and added to dips and appetizer mixes. We are so pleased to spotlight the rich history of this beloved Alabama company here at State Gifts USA! 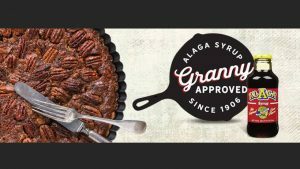 Visit its online store, linked above, to order any of the traditional “granny-approved” syrups or anything else to help make your family meal time special! Alabama is famous for their pecans, and B & B Pecans is a great option for anyone across the country who craves a taste of the South. Whether it’s salted shelled pecans, glazed or candied, or even bulk pecans for cooking, this southern Alabama business is ready to serve. 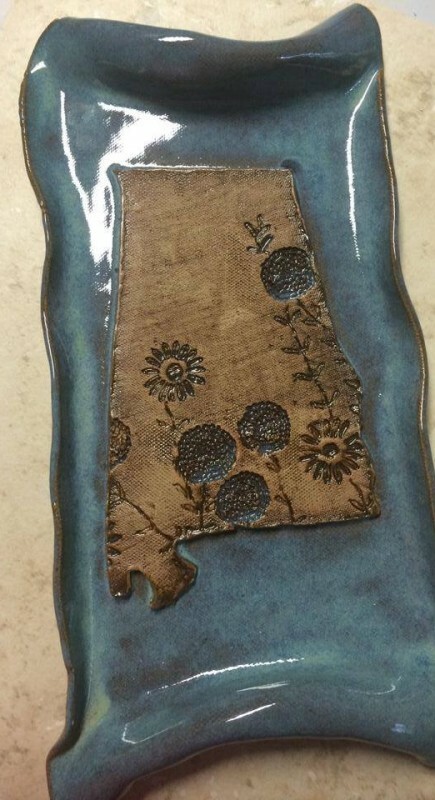 Perfect as a Made In Alabama gift! 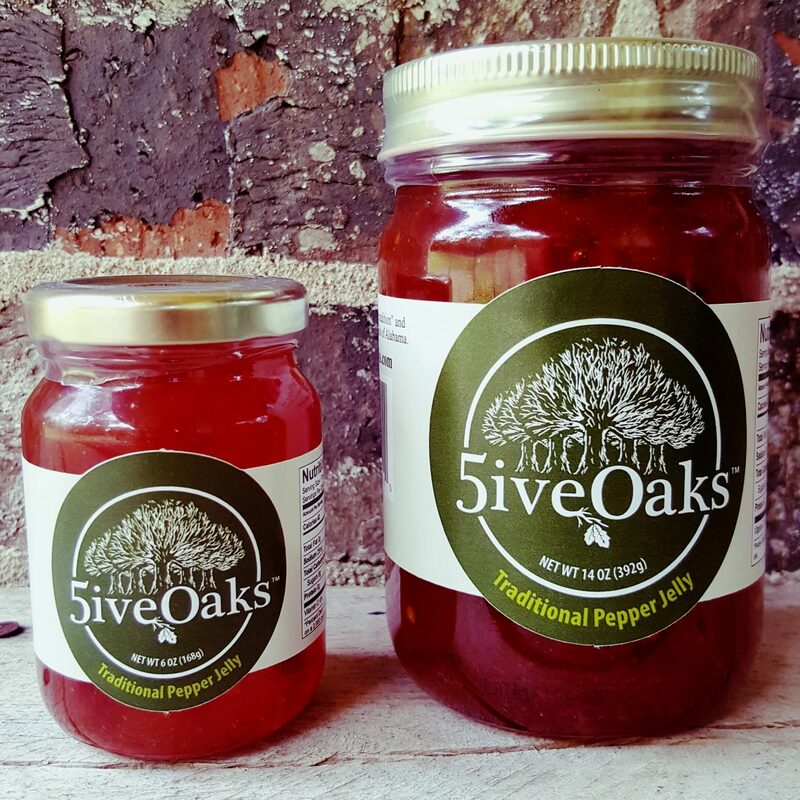 5ive Oaks Pepper Jelly – A Southern Favorite! And while you’re at their site, be sure to check out the “Recipes” tab, where you’ll see traditional and creative uses for 5ive Oaks Pepper Jelly … we’re big fans of spreading it on grilled burgers for a one of a kind Southern taste sensation! Click through to learn more about the 5ive Oaks story. We’re very pleased to spotlight this vibrant family run business … Made in Alabama! 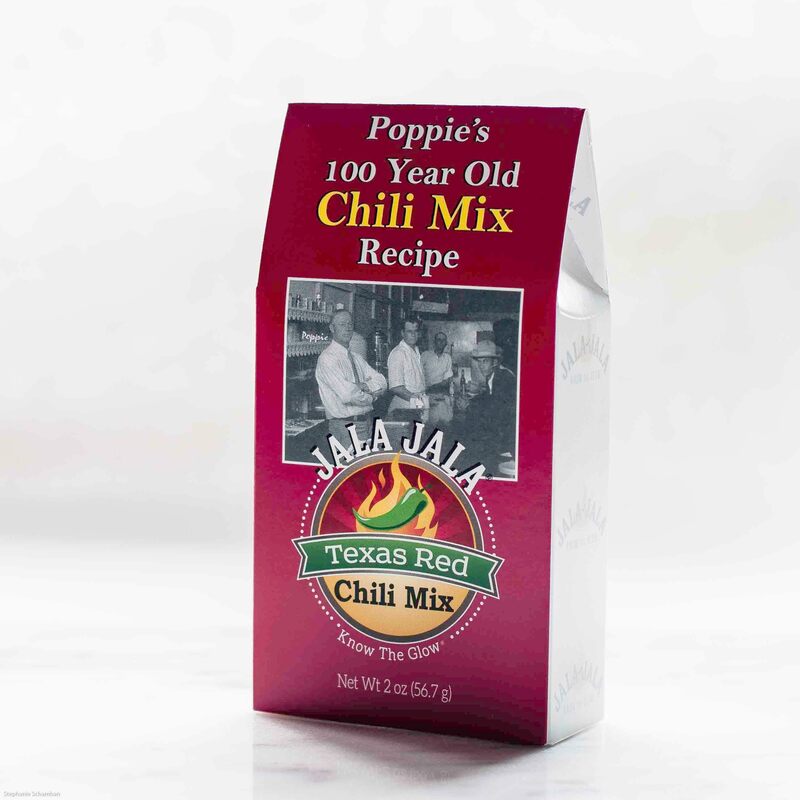 If you’re into salsa and chili, Jala Jala offers both medium heat and hot salsa as well as a Red Chili Mix that’s a proud 100 year old family recipe. The chili is ultra easy to prepare … just add two pounds of ground meat and two cups of water and you’re good to go! 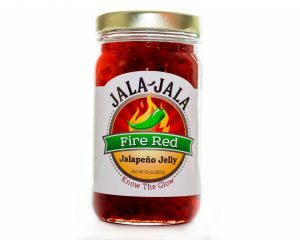 If you’re a local Alabaman, check out the “Locations” tab at JalaJalaFoods.com – there’s a list of retail locations carrying their products. And don’t forget the “Recipes” section of the site to help you explore your culinary creativity – the Easy Chicken Enchilada Casserole sounds fantastic! 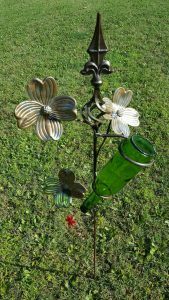 We’re so proud to feature this creative and vibrant small Alabama business here at State Gifts USA – stop by their site to learn more! At their website, you’ll find a list of local retail locations where you’ll find the products. 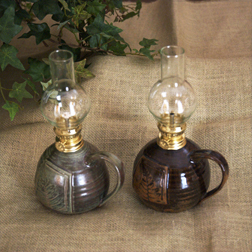 Click on “Products” and you’ll be taken directly to their Etsy store, where you can buy and have them shipped. Great stuff from The Heart of Dixie! Owner Kathy McClung was kind enough to get in touch and send us samples of her company’s flagship product, Amazin’ Raisins. We’ve always enjoyed raisins as a mid day pick-me-up snack, but these are no ordinary raisins out of a box. They’re fruit infused (with all natural fruit flavors) and come in five different varieties: Peach, Pineapple, Strawberry, Orange, and Lemon. You’ve got to try them … they’re fantastic! Raisins, of course, are one of the healthiest snacks to enjoy. 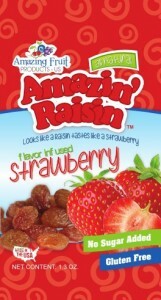 Amazin’ Raisins are no sugar added, fat free, gluten free, vegan, Kosher certified, and contain no GMO’s. The experience is that of eating a raisin, but the taste is like eating an orange, peach, pineapple, etc. An ideal snack for your children, the company is proud to note Amazin’ Raisins are listed as a Smart Snack by the Alliance For A Healthier Generation. But even if healthy isn’t your primary motivator, they taste great! You can order individual flavors or handy variety packs directly at their website. 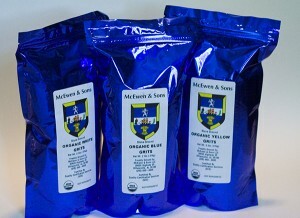 They’re packed in handy 1.3 ounce size bags – each bag equates to about a one cup serving of dried fruit! McEwen & Sons Gristmill: This family owned and operated gristmill is located in Wilsonville, a short drive southeast of Birmingham and due east of Tuscaloosa. 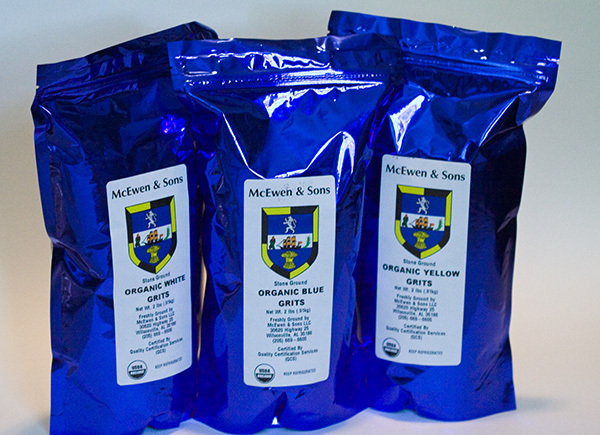 Frank McEwen and his sons produce organic stone ground cornmeal, grits, and polenta which they supply to many famous restaurants across the country, and you! So why buy organic? Well, the primary reasons include no usage of pesticides or fertilizers which damage and contaminate our water supply via runoff. No genetically modified are added either, which results in healthier crops and more sustainable farming practices. Here at the mill, organically grown corn is tone ground into cornmeal, rolled oats, golden flax seed, and grits offering the true flavor of The Heart of Dixie! 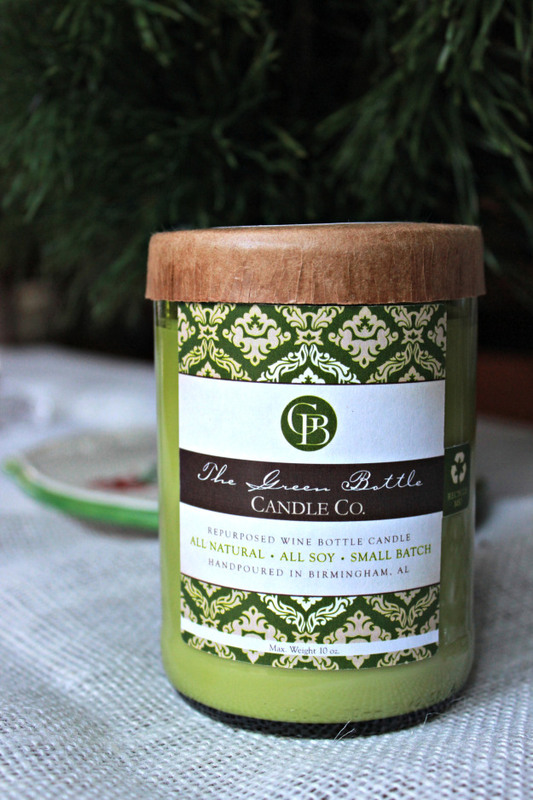 If you live in the area, you’ll find their products at local specialty stores in the Birmingham area, as well as at the Wilsonville mill. Or, order directly online for the culinary oriented person on your gift list as well as yourself! We were fortunate enough to have a friend bring us back some of the company’s Honey Glazed Pecans (we have some nice friends!). 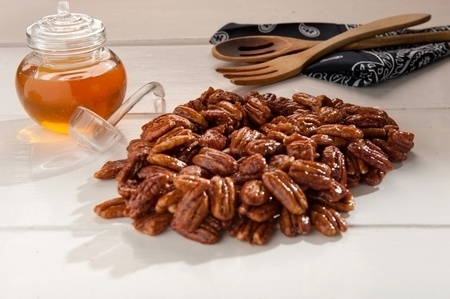 These mammoth half pecans are about the freshest most flavorful pecans we’ve ever enjoyed, and the touch of local honey tops it off in grand fashion! 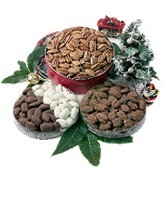 You can order any manner of pecans at their website, including plain, toasted, and candied. They’re available in a variety of sizes, including gift tins for a special holiday or any time gift. We can tell you that you sure won’t go wrong with the honey glazed! 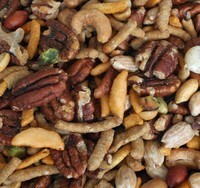 Check out all your options at the Tennessee Valley Pecan website. Enjoy! Assortment packs are also available for bacon, ham, and turkey too! 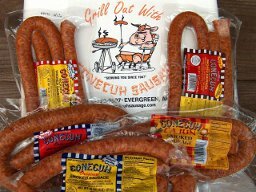 Conecuh also sells a really good Steak & Hamburger seasoning mix – don’t miss it when you visit their website. 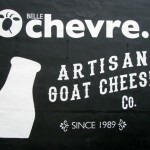 They’ll ship anywhere in the country – a wonderful idea for the foodie on your list, or just yourself! You can order any of Heaton Pecan Farms gift items to be shipped … they’ll deliver right to your front door or as the perfect Alabama themed gift for someone special! Mamie’s Famous Cheese Wafers: The Heart of Dixie is well known for their famous cheese straws, but here’s an interesting and more convenient twist on the iconic southern appetizer … Mamie’s Famous Cheese Wafers. Founded in Mobile in 2003, the company essentially makes cheese wafers instead of cheese straws and packages them in a convenient roll, similar to breakfast sausage. Just slice, bake, and serve! 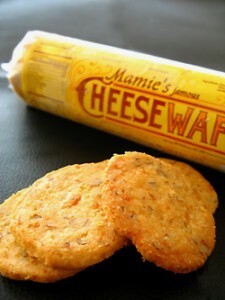 You can order these wonderful convenient wafers directly from the Mamie’s Wafers website. 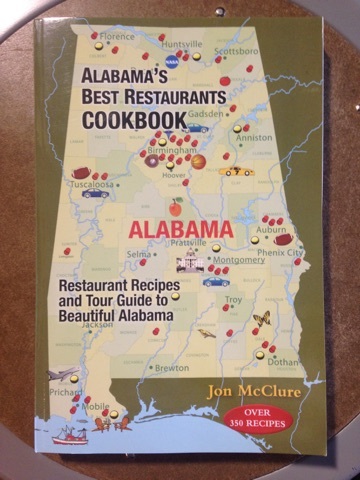 Serve up a delectable taste of Alabama! No artificial ingredients or chemicals are used. The only ingredients are coffee, cream, sugar, and molasses and they offer three flavors – Sunrise Caramel, Mountain Mocha, and Vanilla Avalanche. 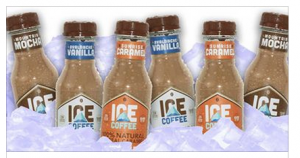 If you’re an ice coffee fan, check out the Ice Coffee Co. website where you can purchase a case of 13 oz. bottles shipped cold and ready to enjoy! 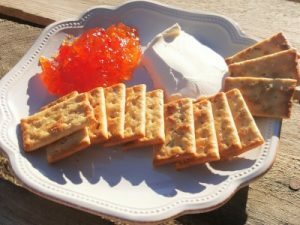 Mooks Cheese Straws: So what’s a cheese straw? Well, it’s a blend of cheeses, flour, and special spices and baked to a lightly crispy texture. Distinctly Alabama! Here’s where you can order Mook’s Cheese Straws. 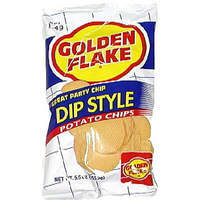 Golden Flake Chips and Snacks: Founded in Birmingham, Alabama in 1923, Golden Flake is known as “The South’s Original Chip Since 1923” … and we love local companies with a lot of tradition turning out delicious products! 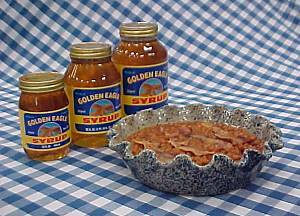 For over 90 years, Golden Flake has been making all sorts of snack foods, including several styles of potato chips, pork skins, cheese curls, tortilla chips, and more. You can tour their factory if you’re in Birmingham and buy their products online through the Golden Flake Company Store. Priester’s Pecans: Priester’s is a small company with big flavor! It was founded in 1935 and is located in the small town of Fort Deposit, Alabama … about 35 miles south of Montgomery. Pecan trees abound in and around Fort Deposit, and Priester’s takes full advantage, churning out pecan brittle, pecan pies, pralines, chocolates, and other delectable items. Since 1907, this small operation has been roasting and selling fresh peanuts by the bag. Located on Morris Avenue, the Peanut Depot is a well known destination for all walks of life around town. When you get close to the location, you’ll know … the wonderful aroma of roasted peanuts is in the air! 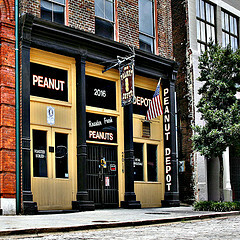 Order some peanuts for yourself at the Peanut Depot website, or better yet stop in during your next visit to Birmingham. 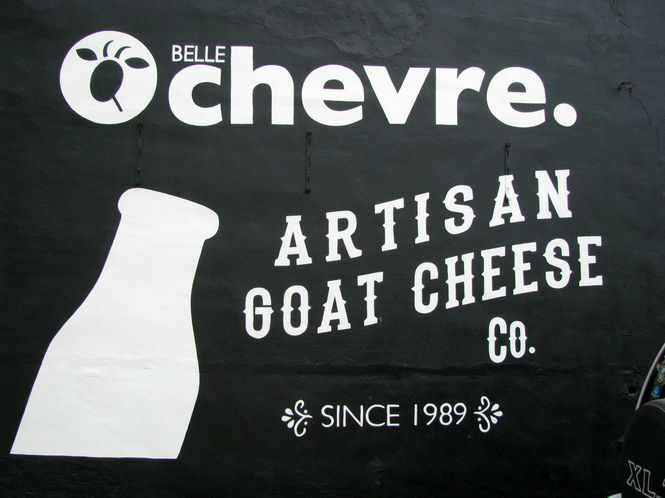 It’s a place all the locals know about and you’ll definitely feel like a local after experiencing this place! There are several Wintzell’s locations in Alabama (and even one in Pittsburgh, PA) where you can enjoy fresh oysters, crab cakes, shrimp, and other seafood delicacies at ultra reasonable prices. They’ve been around since 1938 and are a real Mobile original! 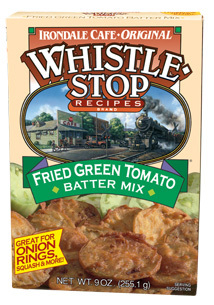 Whistle Stop Cafe Mixes: The Whistle Stop Cafe is a landmark in Irondale, AL just east of Birmingham. You can now order their famous Fried Green Tomato Batter, which is also excellent as a coating for eggplant, zucchini, and other vegetables. 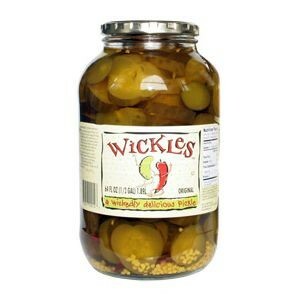 Try using it for fried dill pickles! The sweet dill slices are the perfect combination of sweet with a little bit of spicy tang … put them on burgers or eat them right out of the jar! Another good idea is to coarse chop the pickles and add them into any kind of salad, i.e. chicken salad, tuna salad, etc. It livens up your recipe and gives it a great sweet and spicy kick! Check out their website to buy some for yourself and be sure to check out their recipes for baked beans, pecan pie, and bbq sauce! Tucker Pecan Company: Alabama’s capital, Montgomery, is a friendly small city well worth exploring. If you do, you’ll find hidden gems like the Tucker Pecan company, located in the Old Town section of the city since 1952. Iron City Trading is a company that’s really invested in your health and their products and policies show that. Be sure to check out the Dark Roast Mint Soap, a partnership with Rooster’s Crow Coffee Roastery in Huntsville. 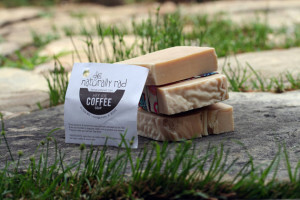 It’s soap made with actual coffee! 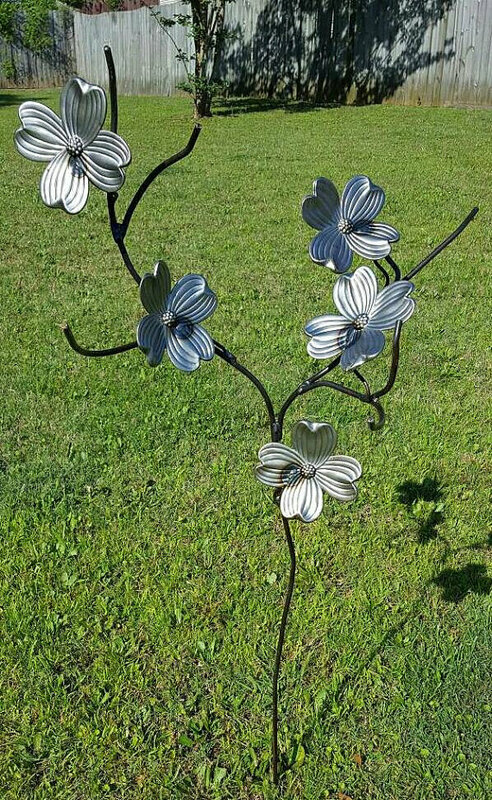 You’ll love Iron City Trading’s super low shipping costs – they cover 70% of the shipping costs to orders shipped to Alabama and 20% to the rest of the United States. Plus you get free shipping when you order over $34! If you’re looking for the perfect personal gift, or even just a gift to pamper yourself, choose from an extensive line of body care products, including a men’s line and their convenient Subscribe and Save Option. A convenient holiday or birthday gift for anyone on your list, the Iron City Trading subscribe and save option ensures their products are shipped directly to your or your gift recipient on a set schedule. The ideal “set it and forget it” gift from The Heart of Dixie! Iron City Trading also offers a vegan yoga mat spray which according to my wife works like a charm to clean and disinfect yoga mats. For a special treat for your hair and scalp, check their website for the lavender lemongrass mint shampoo bar … it’ll leave your hair soft, shiny, and clean without any residue build up from traditional shampoo. Be sure not to miss Iron City Trading’s shampoo bar for dogs! Handmade shampoo bars are so much better for your dog’s coat than traditional dog shampoo, which can leave them with a dried out, scratchy sensation. Your four legged friend will love you even more for introducing them to a dog shampoo bar that leaves their coat soft, smooth, and smelling great! Click through to the South Boutique website – we’re certain you’ll find something you just can’t live without! It’s called “Alabama’s Best Restaurants Cookbook” and it’s a handy guide for discovering some of the great restaurants in the state (and there are many!). You can order a copy for yourself or for someone who loves Alabama directly at the Cahaba Brewing online store, which is itself a fantastic destination in downtown Birmingham. Did you know that soy candles burn longer and cleaner than traditional paraffin wax candles? 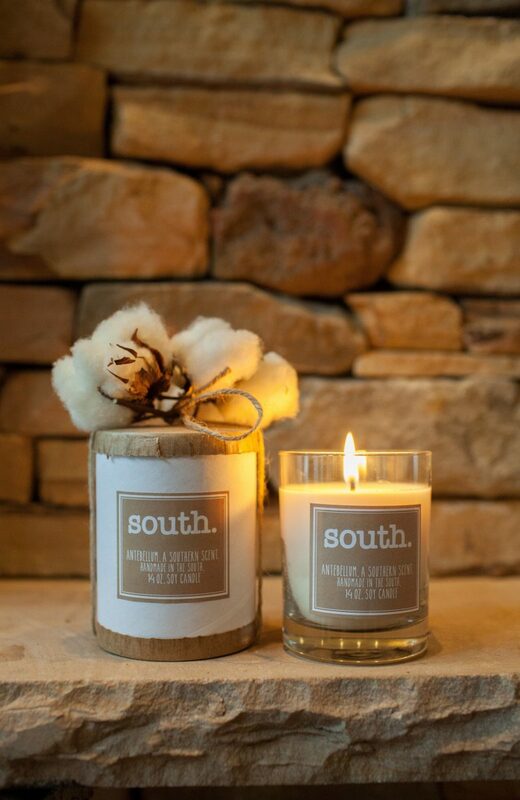 They’re a lot healthier for you and your home as well – there’s no soot or black smoke with these candles and soy is made from a renewable resource harvested right here in America. 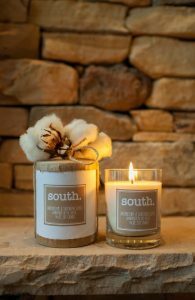 Check out the full line of Fairhope Soy Candles at their website. You’ll also find a list of retailers in southern states which carry their line and wholesale opportunities are available too. 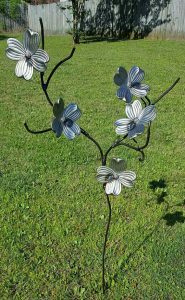 A great gift for someone special, direct from beautiful Fairhope, Alabama! You can view the current collection at the Alabama Chanin website and also at famed designer Billy Reid’s site at BillyReid.com . 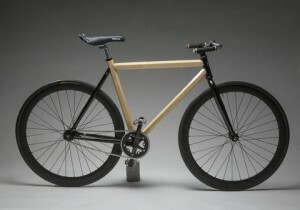 Locally made in Florence! 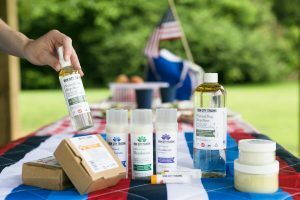 Naturally Rad is owned by Rachel Dickinson, who creates soaps and scrubs out of natural ingredients, including some you might not expect. We wanted to introduce you to her “Hey Joe” Coffee Soap because we think it’s a great gift for anyone who likes a cup of coffee (or cup of joe, as it were) to get their day going. This soap is made with fair trade coffee, extra virgin olive oil, and coconut oil. It smells great and will wake you up! Check out all the Naturally Rad Etsy Shop to see all their natural soaps and scrubs. There’s a “Hey Joe” coffee scrub too! A cool gift from The Heart of Dixie! Over a dozen different scents are offered, including a Spa Collection and a Seasonal Collection. Check out their website for all the selections and to order. 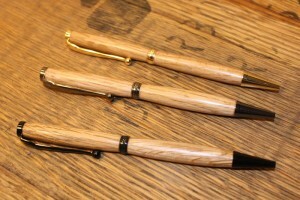 A great Made in Alabama gift for all your eco conscious friends and family! These socks are ultra comfortable and wash nicely. Turn them inside out before washing for best results. They even have socks for guys with larger shoe sizes (like me!) 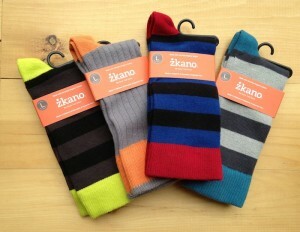 and sell convenient 3-packs as well as single pairs if you like a certain style and want to diversify your sock drawer! These sandals are made with ultra durable Vibram no mark soles, breathable supple leather, and strong and pliable parachute cord to provide form and keep them fastened. 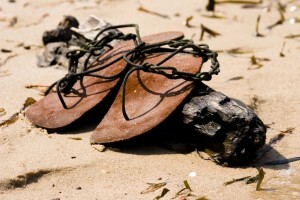 Each pair is custom made and you can choose your lace color too … olive, khaki, or teal. U.G. 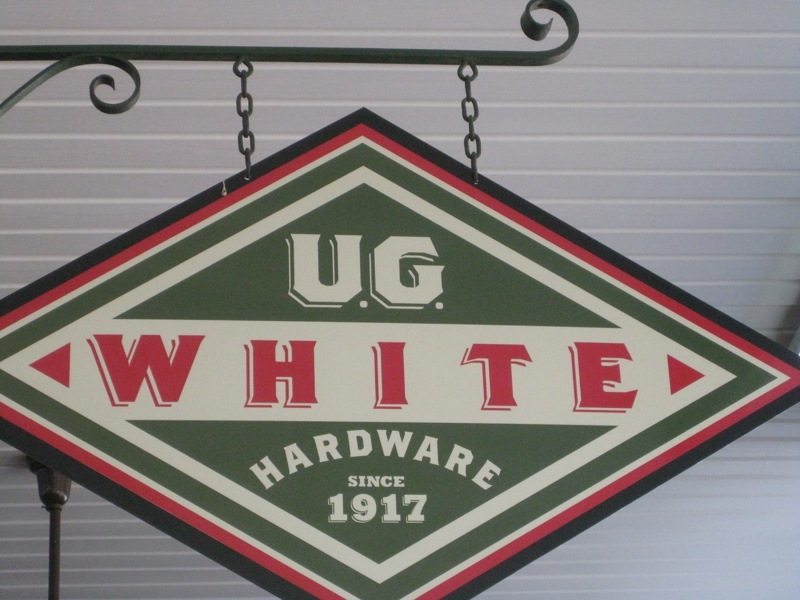 White Mercantile: Located in Athens, Alabama U.G White Mercantile is the kind of store everyone should experience … probably because it has something for everyone! Click here to learn more about this Alabama tradition: U.G. White. 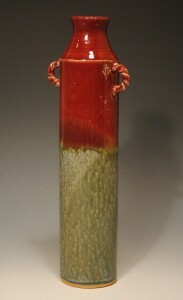 The Green Chair Clay Etsy store is linked at the front page of Randy’s website. There you’ll see all the pieces available for sale – have your order shipped directly to your door. 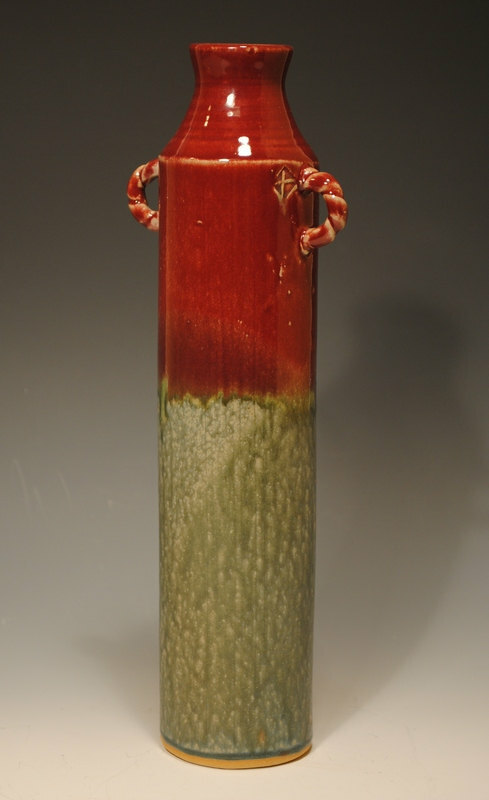 Enjoy the fine work of a talented Montgomery artist! All pieces are microwave, oven, and dishwasher safe. You can see the entire selection, including some of their limited edition collections, at their online store. 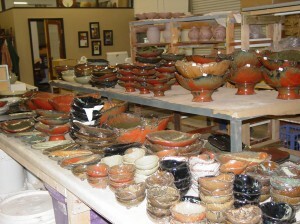 Earthborn also offers on site classes to teach the art of pottery making, so if you live in the area be sure to inquire! Hurricane Lanterns – How Cool! Bud’s Best Cookies: If you’ve been around Birmingham for any length of time, you’re probably familiar with the cookies made by this family owned company. Known as “the little cookies with the big taste”, you can find Bud’s Best in stores across the country as well as at their online store. 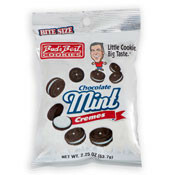 Best known for their handy bite sized cookies, Bud’s Best features a lineup headed by Chocolate Chip, Vanilla Wafers, Vanilla Cremes, and our favorite, Chocolate Mint Cookies. They’re perfect for lunch time, snack time, or any time! Click through to the Bud’s Best Cookies website to see their entire selection and to place your order. Enjoy the great taste of Alabama! The company is Mylks Cookies, founded, owned, and operated by Sarah Toomer, who has had a lifelong passion for baking. Sarah also earned her degree in Visual Arts, and her combination of skills helps create some absolutely fabulous sweet treats! Located in the heart of downtown, this inventive bakery serves not only the local community, but fans nationwide. 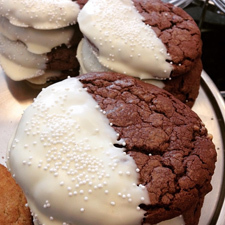 From her spectacular Red Velvet Crinkles to the fresh cocoa and white chocolate Tuxedo Cookies (pictured), Sarah’s creations are sure to make a fan of you too! Mylks ships nationwide – enjoy their many unique flavors! Indie Candy creates toffee, truffles, gourmet gummi candy and more. Everything is created in house and the company welcomes questions about their products from potential customers to ensure compatibility. They even make dairy free fudge and chocolates, so there’s no missing out on great taste! If you or someone you love is unable to enjoy candy due to food allergies, click through to the Indie Candy website to learn more about their creations and to order! 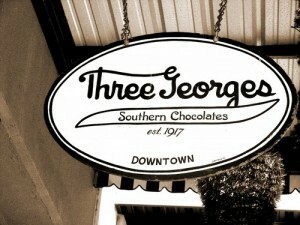 Three Georges Southern Chocolates: We love Mobile, AL … the walkable downtown, the historic architecture, and the Gulf shores just a few miles away … America’s first Mardi Gras celebrations were held here dontcha know?? 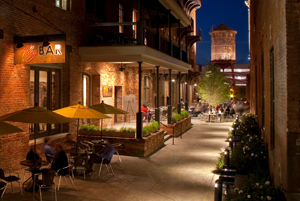 A true southern city with a style all its own, Mobile is a great place to spend a long weekend. Places like Wintzell’s Oyster House (see below) and Three Georges Southern Chocolates will definitely draw you in … and that’s a good thing! Check their website for all their specialties and be sure to try the Heavenly Hash! 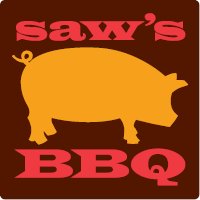 At the Saw’s BBQ website, you can get a hold of the BBQ Sauce for yourself – just click on the “Store” icon and you’re on your way! There’s some good looking Saw’s swag available there as well. Birmingham is an underrated American barbecue stalwart, and Saw’s is one of the big reasons why! Jim ‘N Nick’s Bar-B-Q: Based out of Birmingham but with locations throughout Alabama and surrounding states, Jim ‘N Nick’s is one of the revered barbecue meccas of the south. The company has been around now for 30+ years and their menu features all the items you’d expect a great BBQ place to do well … pulled pork, beef brisket, hot links, smoked chicken, ribs, and an array of lip smacking side dishes. 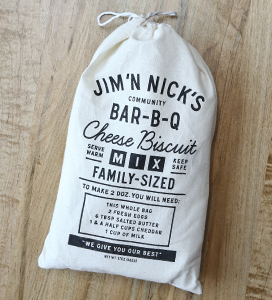 We absolutely love their food and were especially pleased when we visited the Jim ‘N Nick’s website and saw they’re offering some of their signature products for sale online. First and foremost is their famous Cheese Biscuit Mix – if you make these at home your guests will undoubtedly hail you as a true Southerner. They are that good! Well, we don’t want to get in the middle of that debate, because frankly we’ve learned there’s a whole lot of great BBQ sauces in The Heart of Dixie. A few in particular are from a small operation in the Huntsville area in the northern area of the state. 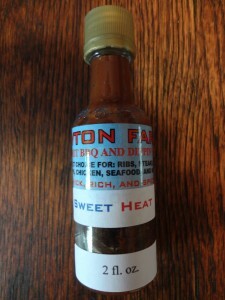 They’re Howton Farms and you’ll find their wide array of sauces (and rubs) available online and in area stores. 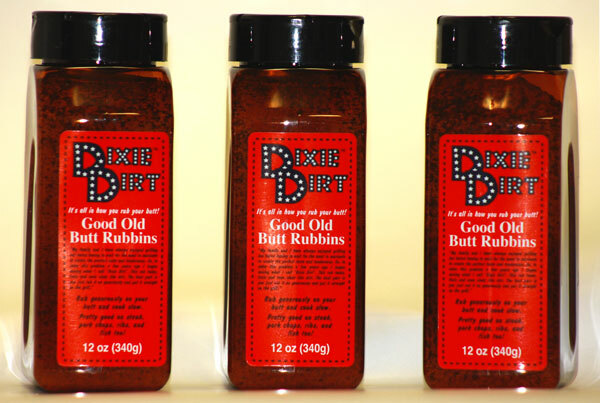 Dixie Dirt Rub – For Your Next Barbecue! Dixie Dirt Rub: You know you’ve got a good thing going when your friends and neighbors keep asking for more of that good stuff you’ve been making … such is the story of Jeff Grimes from Adalusia, AL. He’d been mixing up meat rubs for years when he ultimately developed a special rub for pork that had the consistency of Alabama dirt. 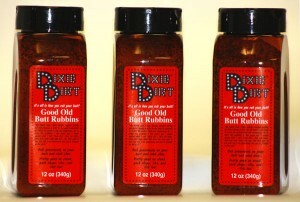 He named it Dixie Dirt, everyone loved the rub, it caught on, and the rest is history! The rub has the consistency of rich red clay dirt and is best used generously on a cut of pork shoulder, although it’s just as good on steaks, pork chops, and even a whole chicken. Spread it all over the meat to help keep the juices in, cook low and slow, and you’ve got yourself a winner! There’s a touch of brown sugar in the mix and the little bit of sweetness really comes through – try it for your next barbecue! You can order for yourself directly at the Dixie Dirt Rub website, where you’ll also find their barbecue sauce and some logo swag to help you really look the part. Click through and go ahead and get your Q on! Well, one thing we know for a fact is Alabama is one of the best bbq states in the country. Chat with the locals and let them tell you all about their favorite place and their favorite sauce. 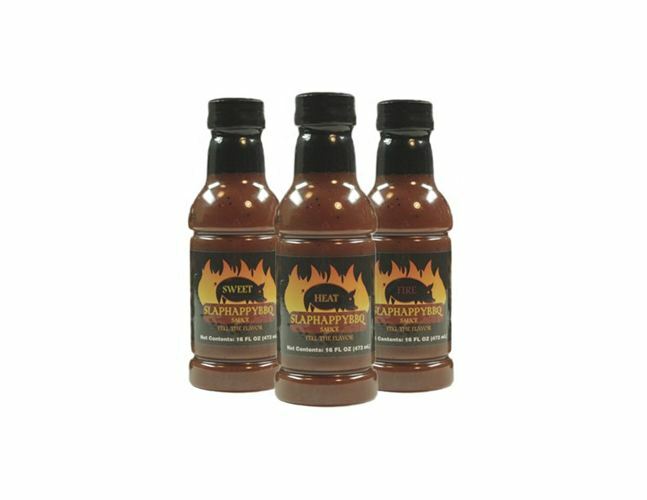 In and around Birmingham, you’ll get lots of different opinions, but one sauce company that comes up a lot is SlapHappy BBQ, a relative newcomer founded in 2011. We heard about SlapHappy just that way … chatting up a local. He raved about their three sauces – Sweet, Heat, and Fire. Not mass produced, just a labor of love by a few guys who banded together to come up with sauces they truly loved, sauces where, as they put it, you can “Feel the Flavor”. You don’t need to travel to Birmingham to get some, although it’s really a cool city which we’ve enjoyed seeing. They’ve got a great restaurant scene there, and real Alabama hospitality. But back to SlapHappy BBQ, get yourself some at their website – they sell cases or a three pack with each of their varieties. Check out the recipes on their site too … if you ever wanted to learn how to smoke chicken wings, they’ve got you covered! That aside, the main point is, this sauce is really good and you should try it! It’s got a full, flavorful smoky taste and we can see why it’s called a marinade even though we used it as a barbecue sauce. 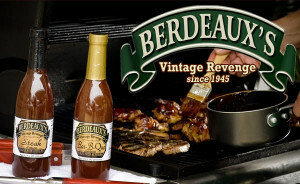 Alabamans are proud of their barbecue and this sauce does Alabama proud! You can buy Daddy Natty’s Sauce by the case directly from their website – shipping is free! While you’re there be sure to check out the many recipes and grilling tips. We used Daddy Natty’s over a chopped pork shoulder sandwich – all we can say is oh yeah! Dreamland BBQ: Since 1958, Dreamland BBQ has been a huge part of the Alabama culinary scene. 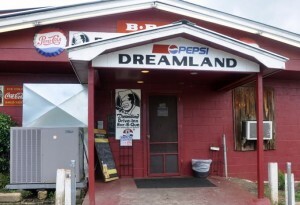 Dreamland started out in a small cafe in Tuscaloosa and has now expanded to eight locations across the state. We’re big barbecue fans and enjoy various styles from across the country. Believe us when we tell you, Dreamland is right at the top of our list! Perfect Bite BBQ: When many people think of barbecue, they think of various regions in the U.S. that specialize in bbq … Kansas City … Texas … North Carolina … and Memphis to name a few. Traveling across the U.S. has really opened our eyes, though. Great barbecue isn’t limited to those well known parts of the country – there’s all kinds of barbecue, particularly in the south. Alabama is a perfect example! Use it on sandwiches or as a dipping sauce. You can also use white bbq sauce as a coleslaw base! Order it online at the Big Bob Gibson’s website. As native Chicagoans, we’re kind of, well, particular about what we want on a hot dog, but traveling around the U.S. and being a bit more flexible has opened our eyes to the different styles across the country. This sauce isn’t ketchup, it’s a blend of spices blended into a tomato base that pairs well not only with hot dogs, but really any cut of meat. We mixed a bit into a beef stew and it was fantastic! 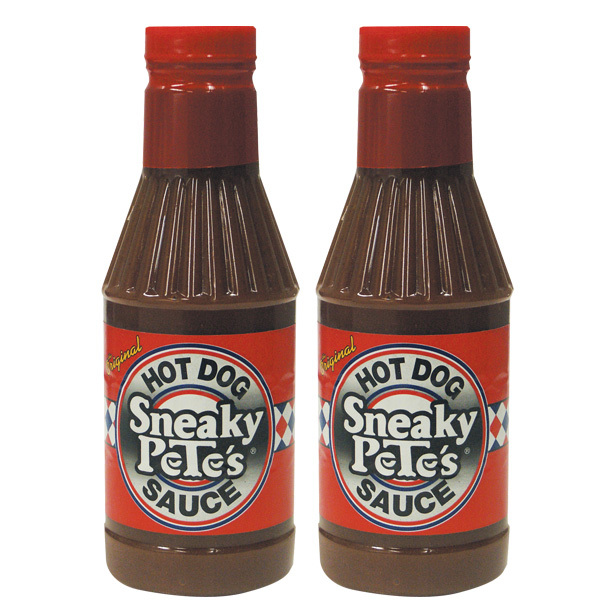 If you can’t make it down south but want to try the sauce, Sneaky Pete’s sells it from their online store and will ship it right to your door. Just click on “Store” when you get to their site and you’ll see your options. Really cool T-shirts are available too! 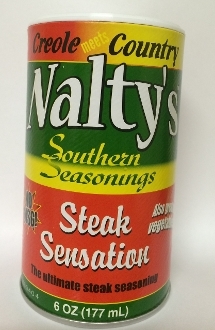 Recently, we were pleased to enjoy some terrific products from Nalty’s Southern Seasonings. 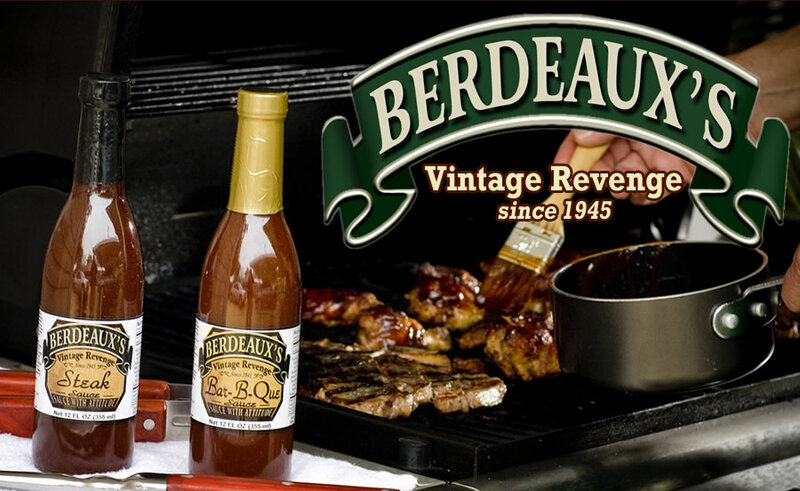 Their tag line is “Where Creole Meets Country” and we’ve learned they create a line of seasonings and marinades including a Creole Seasoning and Voodoo Marinade. The Marinade will flavor and tenderize even the toughest cuts of meat – we used it on a tough piece of flank steak for fajitas and were really pleased how tender the meat was! Sprinkle the Steak Seasoning on steaks, chops, and burgers before grilling – excellent! Their seasonings are very versatile and you can use them on pork, corn on the cob, chicken, and just about everything else including steak. As noted, we mixed the Steak Seasoning into some ground chuck to make burgers and it really brought out the meat’s flavor. You can also add it to potato or macaroni salad to help liven it up! The company is family owned and operated and they’ve got a nice website where you can click through and order any of their products, including a sampler case. Good stuff from Alabama! dak’s Spices: Drew and Karen Clark, a young Alabama couple, have something really good going. They’ve developed a line of savory spice mixes for just about any culinary application you can imagine, and added an important twist – they’re entirely salt and MSG free! 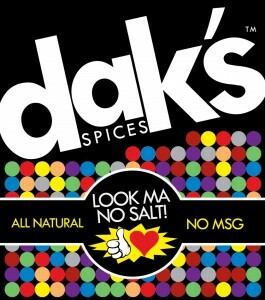 At the dak’s Spices website, you’ll find varieties like Original Red, Green Zest, Cajun Voodoo, Italian Blast, and many more. There’s one for anything and everything you like to cook, and to make things easier, check out all the great recipes at the site. We are definitely trying several of them – the Green Zest Zucchini Pasta being one of the first! 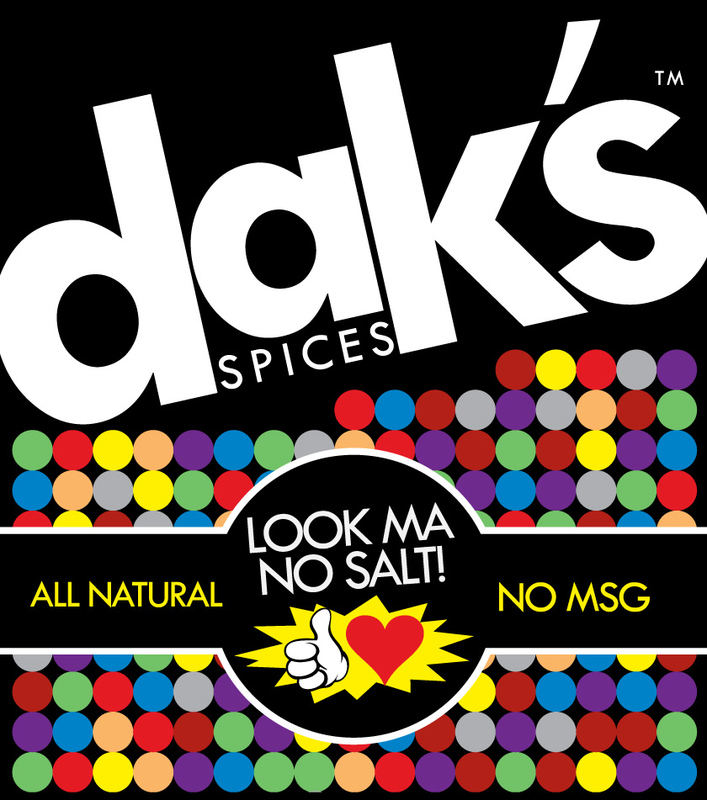 If you live in or near Alabama, you’ll find the full line of dak’s Spices in specialty stores near you. If not, shop directly at their online store and they’ll ship to wherever you are. Oh, and if you were wondering about the dak’s name, it stands for Drew and Karen! And we love the tagline: “Keep America Beautiful – Pick Up Some Trash”. 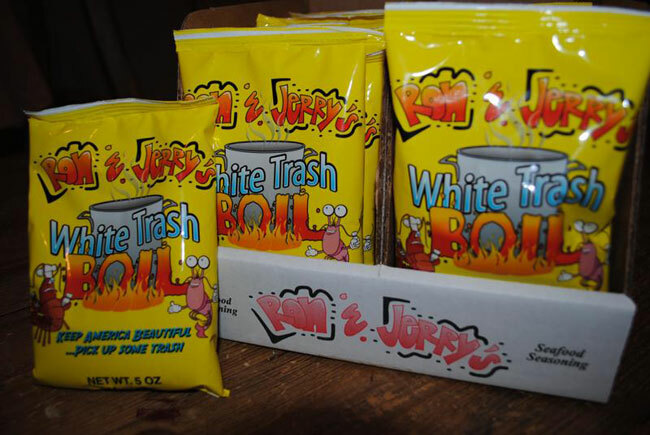 You can order it in one or five pound packets directly at Ron and Jerry’s website. 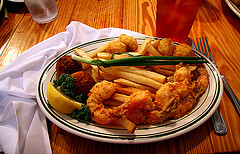 Enjoy the flavors of the Deep South! Limin Lady Mustard: Each jar of this distinctive mustard is individually made in Chelsea, Alabama. The mustard is great when rubbed on a pork roast before cooking, or when served with shrimp. All proceeds go toward sustaining their local farm and herd of horses. 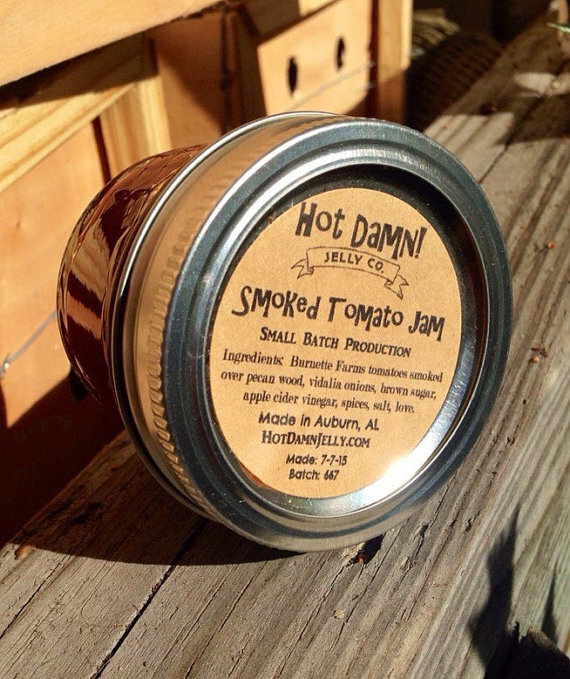 Alabama Sunshine: From Fayette, Alabama, this company produces a line of BBQ sauces, gourmet sauces, jellies, and all sorts of delicious add on’s. 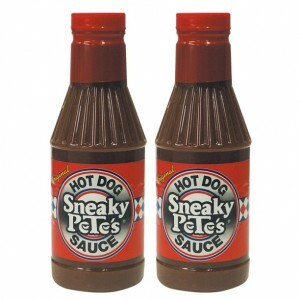 Family owned, they pride themselves on making sauces that complement your food but don’t overwhelm it. In fact, they grow most of the peppers used in their sauces themselves, in order to maintain visual and product quality standards. 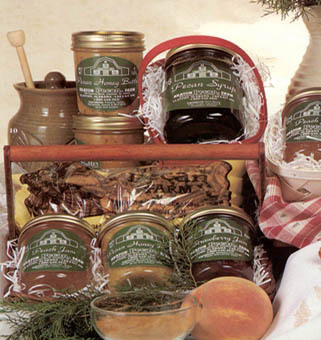 One of their gift packs makes an excellent gift from The Heart of Dixie. 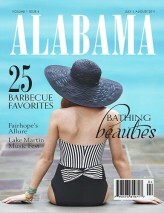 Order online at AlabamaSunshine.com. John’s Famous Angel Hair Slaw and Salad Dressing: This sweet, tangy dressing is well known throughout the south. We’d never heard of it before, but we’re glad to know about it now! “John” was the mastermind behind the recipe, which was created in the 1940’s and began being bottled over 40 years later. The angel hair aspect of the name refers to red cabbage being shredded very thin and served with John’s Famous on the top. Sweet Melissa’s Sauces: A small Birmingham company run by a husband and wife team, Sweet Melissa’s Sauces are best known for their Ruby Red sauce. It’s kind of like a barbecue sauce, but it’s better described as an all purpose spicy sauce (but not too spicy) that’s ideal on any grilled meat, or any meat at all for that matter. We bought a bottle while going through Birmingham a while back, brought it home and kind of forgot about it for a few weeks. Then, we mixed it into some hamburger patties and discovered how great Ruby Red really is! They also make rubs and dipping sauces. 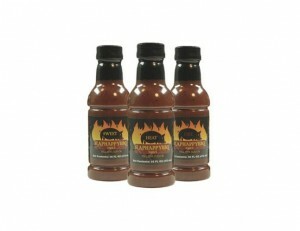 Buy any of their products online at SweetMelissasSauces.com. Hewett’s Honey is available for purchase directly from their website in various sizes along with their honey soap. The three pound bottle is an excellent value and we can vouch for how good it tastes! Visit their website for more details … a great local gift from The Heart of Dixie! 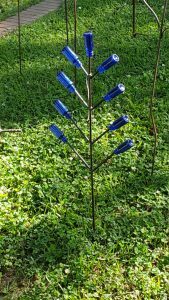 Kittrell’s Daydream Apiary is located in Fairhope. This small southern Alabama community is one of our favorite destinations in the state. It is snug up against the eastern shores of Mobile Bay, about 1/2 hour from downtown Mobile. Fairhope is a vibrant, creative town with a flourishing art scene and many wonderful restaurants. And it’s a great place to linger for a few days and get away from it all! The area is also rich with flora – there are hundreds of varieties of plants thriving in this lush sub tropical climate, and we suspect the local bees love it here. One of the plants, the Gallberry, is a small evergreen shrub that is highly prized as a honey source due to its light color and flavor. The plant is only commonly found in this general southeast U.S. area of Alabama, Georgia, South Carolina, and Florida. 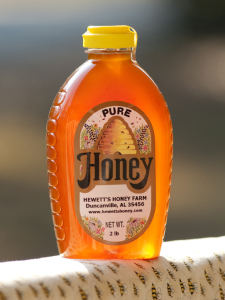 In addition to wildflower honey, Kittrell’s Daydream, owned by John and Cheryl Kittrell, produce Gallberry Honey. They are the only source we’ve encountered who sell it online and will ship all across the country. 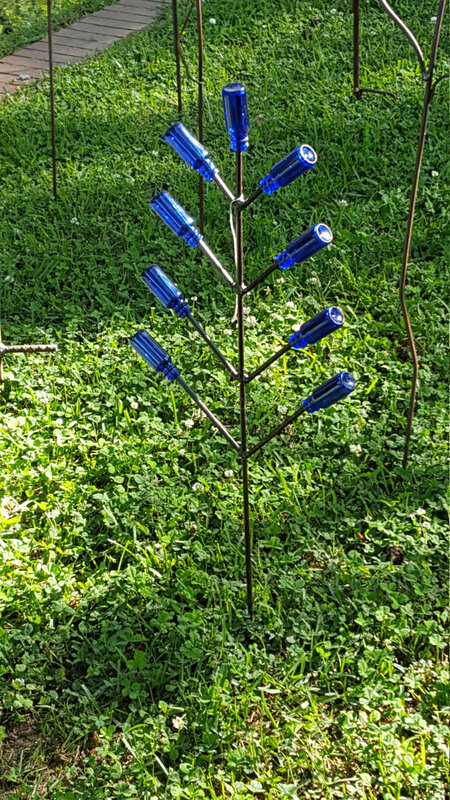 A very unique gift from Fairhope and the Mobile area! 5). 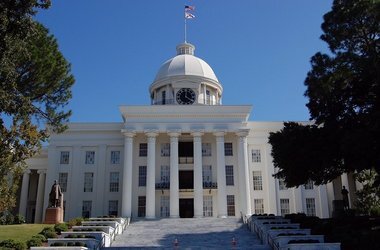 10 Famous People Born in Alabama: Hall of Fame baseball players Hank Aaron and Willie Mays, actress Kate Jackson, singer Emmy Lou Harris, Civil Rights Activist Rosa Parks, musician Lionel Hampton, entertainer Nat “King” Cole, boxing champion Joe Louis, singer Hank Williams, former Miss America Heather Whitestone. In the first of our 50 part series on America’s State Capital cities, we’ll visit Montgomery, capital city of The Heart of Dixie. 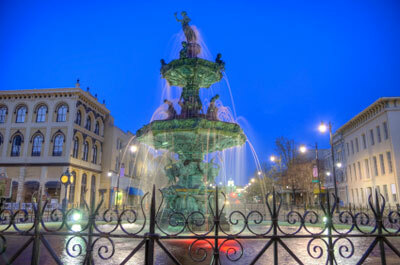 A compact little city, Montgomery was recently voted as the Best Historic City in the United States in a USA Today poll. It’s easy to get to Montgomery – it’s situated at the intersection of Interstates 65 and 85, about 90 miles south of Birmingham and 155 miles north of Mobile and the Gulf of Mexico. To be sure, a lot of history has occurred in this city, stretching back to the Civil War and before and up to the present day. The city’s center is situated on the south bank of the Alabama River. The immediate area adjacent to the river, known as the Riverwalk, has been redeveloped over the past ten years and now features an entertainment center, baseball stadium, and the Harriott II Riverboat for cruises and events. To appreciate Montgomery’s present, start with the city’s past. In the 1950’s and 1960’s, this city was a focal point for the Civil Rights movement. See sites like the Civil Rights Memorial and Center on Washington Street, the Dexter Avenue King Memorial Baptist Church, and the Rosa Parks Library and Museum. If you’re traveling with youngsters, two attractions stood out to us. First is the Montgomery Zoo, home to over 500 animals divided into five continent visiting areas. There’s a special Giraffe Encounter event where kids can feed the zoo’s giraffes. 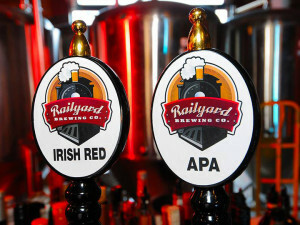 Be forewarned, here at StateGiftsUSA.com we like local places. You won’t find any chain restaurant recommendations here, unless they’re small local chains. We figure you can find the chains on your own! Our favorite Montgomery joint is Chris’ Hot Dogs on Dexter Avenue. This place was calling our name for three reasons. One, it’s historic (Chris’ opened in 1917). Two, it’s a casual lunch counter where you feel the pulse of the city, and three, it specializes in hot dogs. We’re from Chicago, so we truly enjoy trying the different styles of hot dogs served around the country. 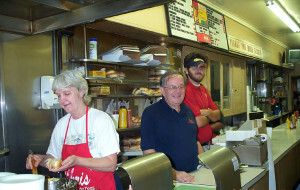 Try the “All The Way” dog, dressed with Chris’ Hot Dog Sauce, sauteed onions, mustard, and sauerkraut. We loved it! It’s Alabama, so we wanted to visit a barbecue place, and we opted for a Heart of Dixie legend, Dreamland Barbecue (see our feature on this page). Dreamland has locations across the state, and this one has outdoor dining and it’s convenient to downtown and the Riverfront. Go with whatever strikes your fancy because it’s all good here. We loved the pork sandwiches with white barbecue sauce, another Alabama specialty. Order some sweet tea to go with your meal and you’ll practically be a native! We split a wonderful appetizer at Railyard, their chicken salad bacon sliders, made with their house recipe chicken salad. They’ve got a really creative menu featuring Alabama standards like chicken and waffles and white bbq sauce chicken sandwiches, as well as a fantastic squash casserole and smoked gouda cheese grits. Highly recommended! For more information about Montgomery, do as we did before we visited and check out the Montgomery Visitor’s Bureau website, which does a great job outlining all the in’s and outs of this highly enjoyable small city! If we did it again, we’d spend two nights, but alas, there isn’t always time for everything. But this is a cool little city, steeped in history, with friendly people wherever you go. Should your travels take you to Alabama, spend some time in Montgomery. We’re confident you’ll be glad you did! Thank you so much for including my work with this wonderful collection of amazing artists!